I needed to sell my own home. I heard so many opinions about it that I was confused regarding the best way to do it. I was advised to go through a real estate agent as he will simplify the process for me. I explored the option but the high commissions the agents demanded put me off. I was confused, was there no way of selling my own home? On further research, I came to know about agent free real estate. I managed to sell my home and enjoy the profits. I am so happy that I did not have to share the returns with anyone. I would like to share my experience and tell you about agent free selling. What exactly is agent free real estate? It implies selling the property by totally eliminating the agent. You must be thinking it is not possible! But let me tell you I have done it myself! Selling your home does warrant dedicated efforts and time. You will need to completely de-clutter your home. Remove especially articles that are personal in nature such as photographs, etc. Your home should no longer reflect your personality. In fact, when a potential buyer comes to view it, he should be able to imagine it as his home. Undertake a thorough inspection of the property and repair any damages. You can take the help of a professional to check for defects. You need to ensure that all your plumbing, electric points, and civil works are in order. In case you find minor defects you can repair them. In the case of major damages, you could offer a price benefit to the buyer instead of undertaking the repairs. You could also consider painting the house to ensure the appearance is enhanced. You could consider staging your home as this attracts buyers and enhances the value of the property. You will need to estimate the worth of your property. You can check the prices of similar properties in the neighbourhood. The internet can also help you in pricing your property. However, accurate pricing is essential so that your property gets sold easily. Once your home is in order, you will need to take HD photographs to upload on a property portal. It is a good idea to take photographs from different angles. You can also record a virtual tour of the house. Selling a home on your own has become easy because of the availability of numerous property portals. You can list your property on them by giving its description. You can upload pictures and virtual tours to reach out to buyers. Selling your own home online is the fastest way of selling it. This is because it eliminates the middlemen and helps in establishing a direct contact between the buyer and seller. There are numerous property portals available for listing properties. However, the services offered by them are different. Not all websites are authentic. Therefore, you will need to select a website carefully. Buyers who view your property on the website will connect with you directly. You can take the potential buyer for viewing the property at a timing convenient to him/her. Since you are the owner, you are the best person to show your home. You can highlight the special features and explain other benefits to the buyer. You need not depend on another person to negotiate for you. You can directly negotiate with the buyer and ensure the best price for it. You will need the services of someone with a legal background to help you draw up the contract. Once the contract is signed, your deal is through! Wasn’t that simple! Yes! 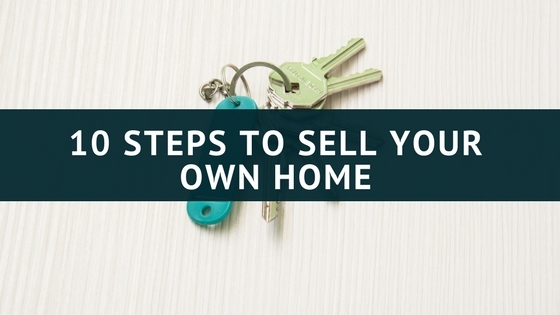 Sell your own home is not as complicated as you imagine. But it does take some hard work. And, if you look at the end of the day, you are the one who has earned all the profit! You don’t need to share your revenues with an agent!